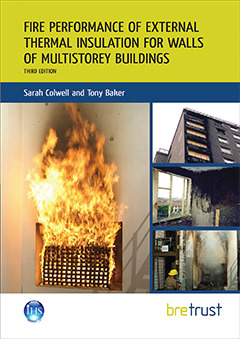 This Digest presents a new classification system for fire performance of cladding on multi-storey buildings. 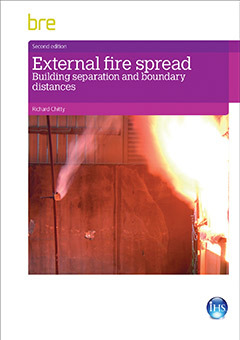 It extends the coverage in Annex A of BRE Report 135 to cover cladding systems supported by a structural steel frame, in line with BS 8414-2:2005 (Fire performance of external cladding systems. Part 2: Test method for non-loadbearing external cladding systems fixed to and supported by a structural steel frame). Illustrated with detailed schematics and graphs to show a typical test facility and the location of thermocouples, it provides a concise outline of the test methodology and performance criteria for assessing the systems which use framed structures. 4 pages. 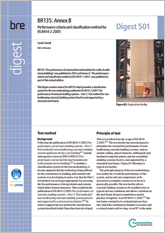 Digest 501, DG501, cladding, fire performance, steel construction, BS8414. Basement construction and waterproofing. 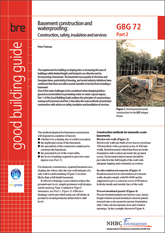 Part 2: Construction, safety, insulation and services.